Originally posted in April 2014; reposting in honor of National Pizza Pie Day! If you combine a cloudless 60 degree day, a tour through an historic neighborhood with a great friend, and pizza, then I think you have described my perfect afternoon. 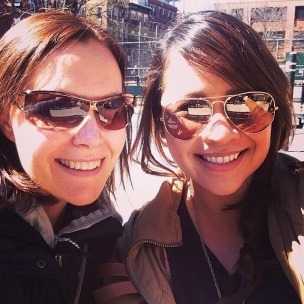 And that perfect afternoon occurred yesterday with Bianca and Boston Pizza Tours. 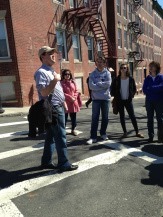 Our tour started promptly at 2PM, with a group of us from around Boston, Wisconsin and as far west as Seattle. It ended up being a great, and talkative, group, with our tour guides Pat and Anna. 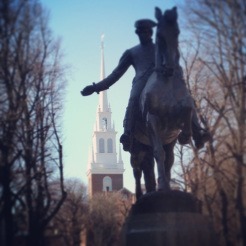 The tour began at the Boxer statue at the corner of Hanover and Cross Streets. We made our way up Cross street, and along the way Pat was pointing out landmarks and giving us the history of the oldest neighborhood in Boston. 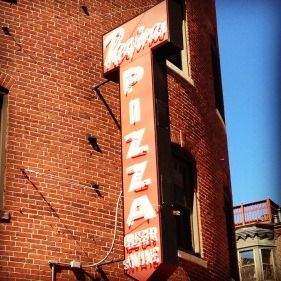 Our first stop was at the historic, and oldest pizza joint in Boston, Regina’s. 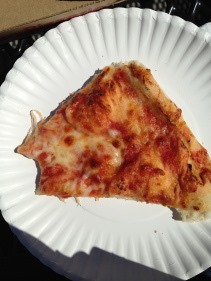 I’ve certainly had my share of Regina’s pizza but never from the original source (it has since become a chain). There was a long line outside, but they had called ahead of time and we had our two pizza’s to go. 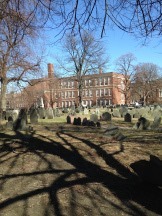 After enjoying our first slice at the neighborhood playground, we were led up to Copp’s Hill Burying Ground for some more historical facts. What I loved the most about this tour was the fact that I was getting information about the city that I had never heard before. 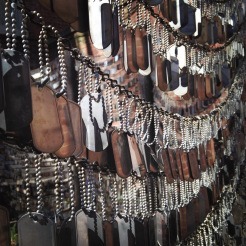 You think you know it all when you’ve taken a Duck Tour and a Freedom Trail tour! The tour took us past the Narrow House as well as through the streets lined with restaurants and bakeries. 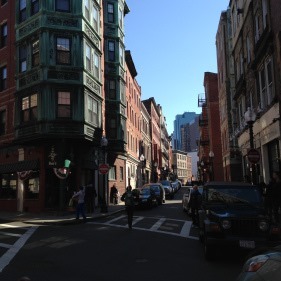 At less that .4 square miles, the North End is home to 12,000 residents and over 100 restaurants. And after the Big Dig was completed, the rent for the neighborhood skyrocketed. Today you can get a 500 square foot studio for about $2400! 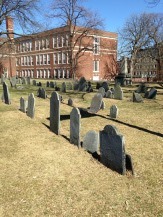 The guides even brought us to the Old North Church. For all the times that I’ve been to the North End I had never stepped foot inside of the church. There was a guide there as well giving us the history of the structure. For the history buffs, it was this church where Paul Revere instructed the soldiers to light the lanterns to let him know how the British soldiers were going to arrive to Boston: One if by land, two if by sea. After the church, we had our second slice of pizza. 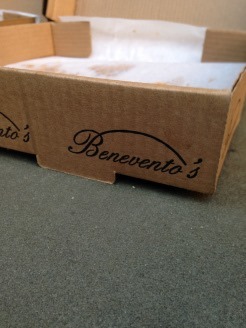 The first was from the oldest pizza restaurant; this was from the newest (established in 2010): Benevento’s. 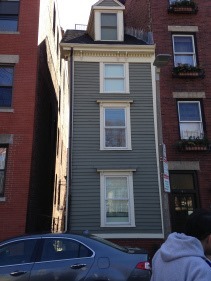 To conclude the afternoon, we were guided through North Square, past the home where Rose Kennedy was born, the house that Paul Revere lived (also the oldest structure in Boston), as well as a house that apparently was home to the oldest staircase in the city. See? The things you learn! And the last pizza to try was Ernesto’s, voted top pizza restaurant by Boston Common, Improper Bostonian, Phantom Gourmet, etc..
We were two very happy food bloggers! After trying three of the best pizza’s that the North End has to offer, I would have to say that Regina’s was my favorite. 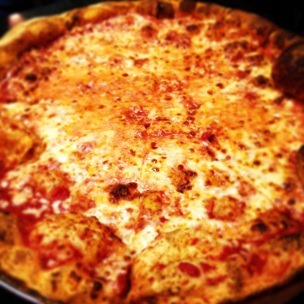 It was the perfect balance of cheese and sauce and the crust wasn’t too thin or too thick. Perfection in a pie. 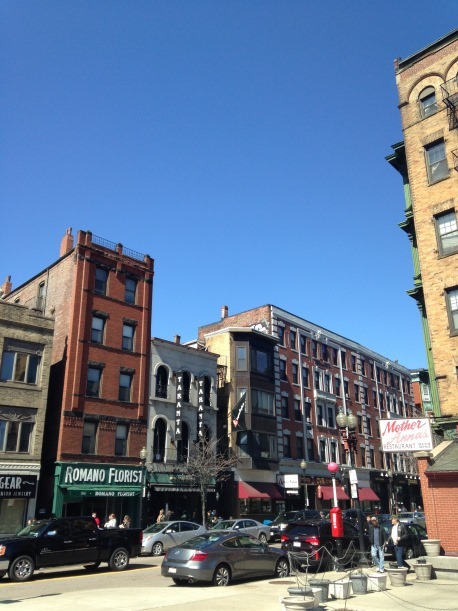 Boston Pizza Tours “Pizza & Little Italy Tour” run twice daily at 11am and 2pm. The ticket price is $39 per person and reservations are recommended! 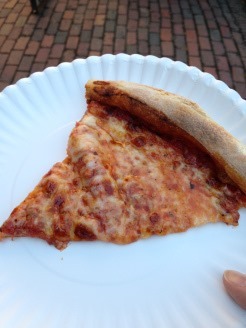 This June (2014) they will be starting a “Pizza & Historic Tavern Tour” for $49 per person! Sign me up! What’s the best food tour you’ve ever taken?